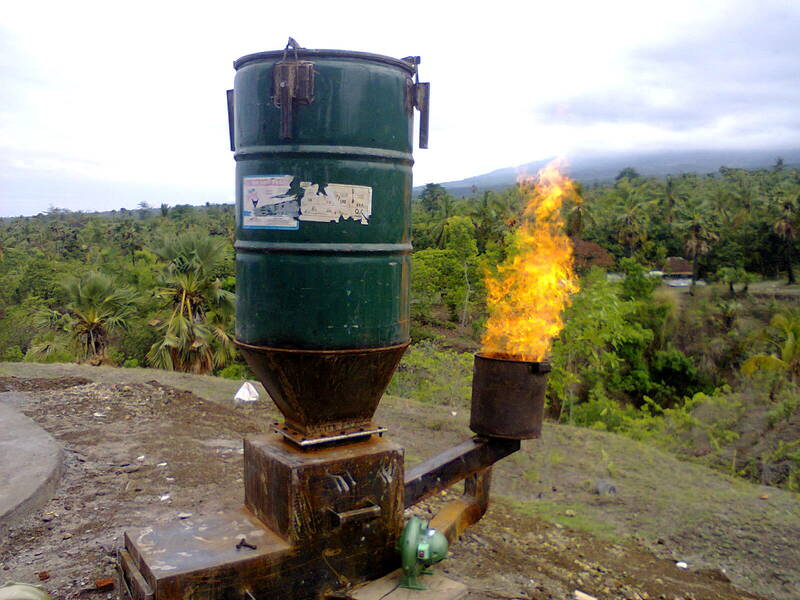 This is an early stage of the gasifier that they have been refining since 2012. 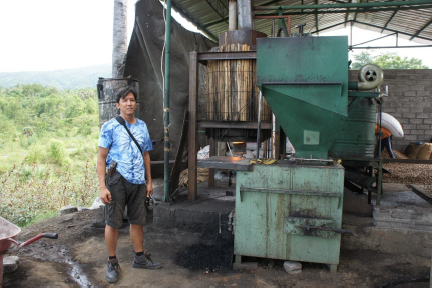 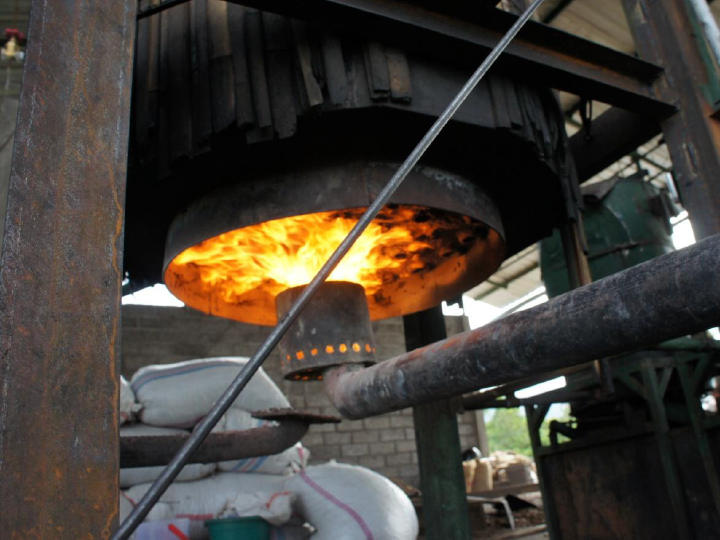 They use steam generated by the gasifier to soften the cashew shells and make them easier to process. 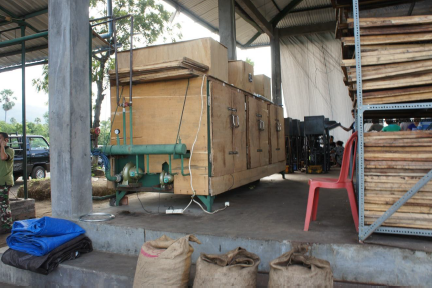 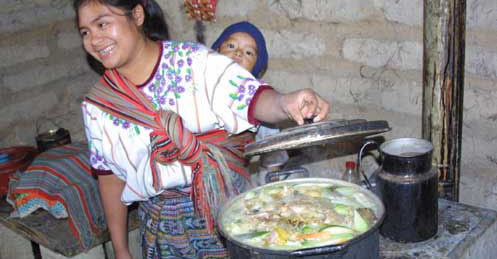 Additional heat is used for drying the cashews after shelling, and they would eventually like to add a small generator.